Ladies, let’s stop looking for our reflection in the media. They are not our mirror! 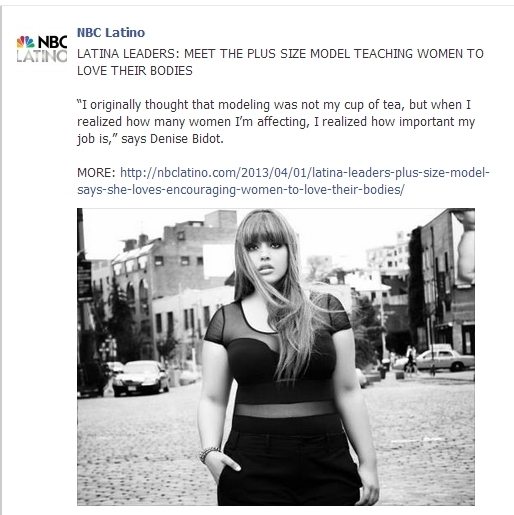 **First a disclaimer: This has nothing to do with NBC Latino since I am a fan, well maybe a little since it’s the line “Meet the plus size model that is teaching women how to love their bodies” that has me buggin’. About a year ago I asked a graphic artist friend to create a banner/logo for a new blog I was going to write. It would be based on the teen and adult years I spent dealing with acne. I wanted to share stories that another young lady, or even young man, could potentially relate to as they dealt with many of the same feelings I have felt (and still do) because I know all too well how isolated acne can you make you feel. Especially in a family where it’s just your problem because my siblings didn’t get the zit gene. I wanted the images used on the logo to capture my feelings about it without capturing me, because though I wanted to share the stories, I wanted to do it anonymously. I did not have the courage or desire to be the face of Zit Chronicles, pun somewhat intended. Am I? Truth be told, it depends on the day. I try not to be because I know they don’t mean to offend me, but who in the world wants the worst thing about them–which has been my belief about my skin since I was about twelve–pointed out to them, however much you’re trying to help? First, just a bit more context. A few weeks ago a good friend and I were having a discussion about people’s needs to see a version of them reflected in the media, be it magazines, TV shows, movies, etc… and my lack of understanding that inclination. The conversation arose from yet another FB posting, that one a photo of mannequins with curvier bodies that the usual mannequins we see. My friend, ever-patient with my daily rants about this thing or that, just laughed. She explained her reasons. For her, a Latina, seeing someone who looks like you, as a young perhaps not always so self-assured young lady, helped her to see that her brand of beauty was normal, was acceptable even. And I get it, I really do, but only to the extent that this is a diverse world and media needs to catch up with it. And here’s where my problem skin, back story becomes relevant (see, there’s really a point to all this). I said, “Imagine me as a teenager. My face being taken over by severe acne. Already feeling so different from even my own siblings and friends, and trying but failing to find someone that looked like me. For what? Just to feel better because subconsciously if I did, I would feel validated? See, that’s the thing. I wouldn’t have. No one would see me or someone like me in the media and say, “Hey, that girl’s alright!” So, I didn’t and still don’t care whose face or what body type the media wants to focus on. I realized very early on that I would have to be strong all on my own and I would validate my existence from the inside out. Maybe because of that reason, I feel and see the hypocrisy, or rather the disconnect, in what we as women say about beauty acceptance and the reality of its importance in our lives. We get so worked up about a model’s face being photoshopped to perfection on a magazine cover, but we’re on a never ending search for makeup that will make us look just as flawless. We are outraged at the same model being photoshopped to look thinnner, but have no issues with the statistics on the overwhelmingly fast-growing, popularity of the shapewear industry. So as I told my friend during our initial conversation, maybe we’re focusing our anger and our outrage at the media erroneously, or at the very least, not looking at our own responsibility in the matter. Maybe we should stop caring what they do, whose image they use, and whether or not she’s a reflection of me or us. 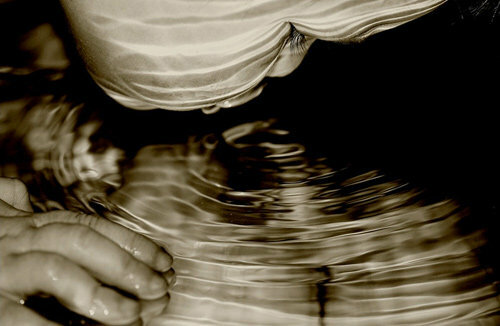 Why don’t we shift that energy and focus onto finding acceptance with our own reflections, from somewhere inside of us. Because, let’s be real here…we called that model above plus-sized so we’re not even close to accepting each other without creating labels, and no other person’s, not even a model’s *eyeroll*, self-acceptance can make or teach your how to accept yourself if you don’t already.